When someone has ascended to the height of a profession, others are compared to them, some deservedly, some not. 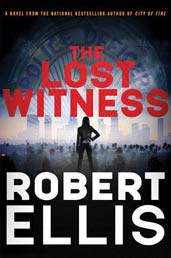 With "The Lost Witness," Robert Ellis has been compared to Michael Connelly and I believe that the comparison is just. In this story, Lena Gamble, L.A. detective is given a case of a body that was found dismembered in a dump. Lena is disliked by her superiors because of the way she handled a prior case in which a police officer was involved. The result was that for the last six months, she has been doing administrative work. Now she wonders if she is being set up with the new case. As Lena investigates the murder, she is sent a drivers license identifying the Jane Doe as Jennifer McBride. Unfortunately, when Lena attempts to tell Jennifer's mother about her daughter's death, the woman tells Lena that her daughter has been deceased for over two years. Back to square one, Lena now has to find out who the Jane Doe was who stole the other woman's identity. Lena and detective Rhodes follow the leads to a doctor who made a number of calls to the victim. The doctor, Joseph Fonatine, has something to hide but the detectives can't pin it down. Since the doctor also has friends in high office, the detectives are ordered to tread lightly. The hunt for the killers goes through various trails, all the while, providing excellent tension as one clue and then another is revealed. At the same time, Lena discovers that there is corruption and deceit within her department and she may be the next target of those attempting to keep the facts of the case from going public. Just when the reader might think that they have it figured out, Ellis plants another surprise in the story and this kept me at the edge of my seat. The story was unique and the gradual manner in which Lena figures out what is happening was great. Lena Gamble seemed like a Jason Bourne of the Los Angeles police department. She is determined, ready to stand alone if necessary but smart and with the keen detective sense to know where to turn to find the answers. I was greatly entertained by this novel and recommend it strongly. 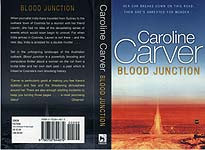 As "Blood Junction" begins, the reader experiences that tragic manner in which the area got its nick name. In present day, India Kane travels to this rural area in Australia to meet her friend Lauren for a mini vacation. India's car breaks down in a desolate part of the desert and she gets a ride to town with Terence Dunn. She stays at a local ranch that night and in the morning, the police storm in and arrest her for killing Dunn and her friend Lauren. The police attempt to coerce a confession through barbaric manners. India maintains her innocence and she is finally permitted to leave the jail when an unknown person provides her bail. After that India, former police officer, Mickey Johnson and Det. Jeremy Whitelaw, an Aborigine, investigate the killings. Through a complex plot and many suspects, the story continues and the reader learns of a scheme to eliminate the Aborigine race. Although hard to believe, the author gives the facts in such manner that the scenario is believable. The hunt for the killers is dramatic and suspenseful. We also learn a secret of why India was asked to come to this place by her friend, Lauren. This secret centers on much of the story. The plot is on the grand scale and entertaining. India as a character is an enticing heroine who is gutsy and determined. In addition, the author's description of the sparse Australian country and the people was well done. In "Beyond Salvation" author Darcia Helle has given her fans another enjoyable reading experience. This is the second book with Michael Sykora as the central protagonist. The first Michael Sykora book is the equally enjoyable "No Justice." Where the author has explored caring for an ailing adult parent in their later years, this work explores runaway teenagers and the perils that they can face. Sixteen year old Sara Rivers is a runaway who is taken off the street by two men in a SUV. Her teenage friends, Derek and Jay, had once done a reformed prostitute named Nicki a favor. Now they want her help. Because they are runaways with their own baggage, they can't go to the officials for help. Even if they did, they don't believe that there would be much attention given to a missing teen. Nicki is friends with Michael Sykora, who knows how to get things done. He is a software developer in the day and a hit man, known as the Ghost, who eliminates criminals who prey on the innocent. Michael particularly dislikes child molesters. In this case, Michael is assisted by his friend and fellow hit man, Sean. What they find is that there is a fundamentalist religious community that assists parents who feel that their children have strayed. They often resort to abducting the suspected youngster who, in their parents opinion, is beginning to move away from God's teaching. However, there are complications such as their particular attention to the young women they abduct and the means that they use to persuade them to do their wishes. The characters are well described and it is easy for the reader to root for the success of Michael and his assistant. The plot was also interesting and informative. Overall, I recommend this book for those who want to not only read a good book but learn something at the same time. 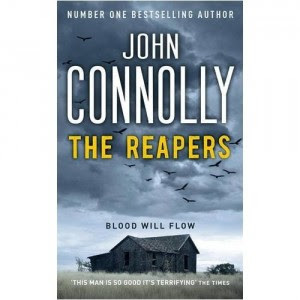 In "The Reapers" John Connolly has given his readers some background on two of Charlie Parker's humorous homosexual sidekicks. Someone is after Louis because of something he saw when he was a teenager. We learn of Louis' childhood and the misfortunes that his family went through. It was the racial hatred that caused Louis' family that changed Louis from a shy child into a murderer. The person hunting Louis is a man named Bliss. Bliss is known as a killer of killers, hence, a reaper. In his hunt for Louis, he targets not only the man himself but his partner, Angel, Louis' home and his businesses. In a departure that demonstrates Connolly's versatility, it isn't Parker who is the central protagonist, but his friend Louis. In fact, Parker only makes a tangential appearance in the latter part of the story. It is safe to say that there are no heroes in this dark story. The central characters are all men who have gotten where they are through killings and having others murder for them. The only decent character is a man named Willie who is the lone honorable man with a significant role in the story. The plot, as always with Connolly, is highly original and the characters of Louis and Angel are two of the more unique characters in noir literature today. I don't think the level of suspense was as heightened as is usually the case with the Charlie Parker stories but overall this was entertaining. This dark novel has Finnish Inspector Vaara called by Sgt. Valtteri, to inform him that black actress Suffia Elmi's body has been found murdered. There is evidence that it is a hate crime. Vaara narrates the story in the hardboiled tradition of Hammett and Chandler. He is analytical and unemotional when dealing with these brutal crimes. In this case, he describes the quiet racism of the Hullu Poro area in Finland with the nights so cold that he must remove the battery of his Saab and bring it into his home to be sure the car will start in the morning. We find that the room where Suffia had been staying has been paid for by Seppho Niemi and a complication arises since Vaara's ex wife Heli, left him for Seppho thirteen years ago. This is an intense and deeply interesting novel about a part of the world so different from what we are accustomed to. With the story being told at Christmas time, the frigid weather is as much a character as any of the two legged characters. It is the time of darkness that adds to the depression of many people leading to alcoholism in many instances. In addition, when viewing the community's struggle in the winter, it is compelling to view what is necessary for some people to survive while others succumb. A well written novel with an original plot. Inspector Vaara is an appealing character with his love for his current wife and dedication to his job while overcoming a family tragedy when just a young boy. "You can get any thing you want at Alice's restaurant." Old song. It's the turn of the 20Th century in the industrialized Midwest. Alice Adams is a young woman of twenty-two. She's from a middle class family but has ambitions to rise up in society. The difficulty is that Alice's family doesn't have the financial means to provide her with the necessities to compete with the other women that she wants to impress. For the big dance, she coerces her brother to take her and instead of going in a taxi, he borrows a friend's tin lizzy. She wears a dress already owned but her mother attempts to fix up by adding some lace, instead of flowers from a florist, she picks violets and by the time of the dance, they are withered and dead. It seems as if the main there of the novel is the desire to get ahead in life, moving up in the financial and social hierarchy that existed. Alice didn't realize that to most of her acquaintances, a person must be born with these advantages. Alice reminded me of Scarlett O'Hara in "Gone With The Wind." Both young women strive mightily to move up in society. Both women attempt to capture the most eligible bachelor, even if that person is promised to another. Both women have fathers who are past their time and living in the past. Virgil, Alice's father, was a more sympathetic character, seemingly content with his life but persuaded to give up his passive existence and follow his wife's dreams of financial and social advancement even at the betrayal of his former employer, an old and trusting friend. As much as "The King of Lies" is a mystery, it is also a family chronicle. 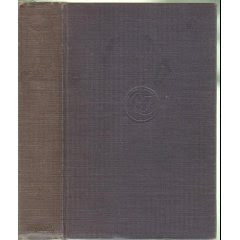 In the North Carolina setting as Work Pickens travels to the countryside, to see his love, Vanessa, this reader felt an influence of fellow North Carolinian, Charles Frazier and is excellent "Cold Mountain." Work Pickens is a defense attorney in Rowan County, North Carolina. He's called out of court and informed that his father's body has been found. Work's father, Ezra, a powerful but universally disliked man, has been missing for approximately two years. When Ezra's body is found, the story begins to spin. The night, Ezra was last seen, the delicate family balance was destroyed. Certain facts about Work's sister, Jean, and her female companion, Alex, came to light. A physical confrontation developed between the controlling Ezra and Jean. Jean's mother attempted to intervene and Ezra pushed her aside. This caused Jean's mother to fall down the stairs to her death. What's left of the family's mental strength disintegrates. Ezra takes a phone call and leaves the house, never to be seen again. Jean, suicidal to begin with, becomes more unhinged and Work becomes guilt-ridden that he hadn't acted to defend his sister or reveal to the public that his father caused his mother's death. 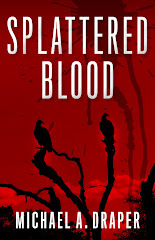 The author was nominated for an Edgar, Barry, Macavity and Anthony award for this novel. His follow up, "Down River" won the Edgar award for best mystery novel of the year. Work is a man with human weakness. He's not a hard worker and doesn't love his wife but is reluctant to call off his marriage and make a new life with the woman he really loves. The female characters are not as strong. Work's wife, Barbara, his sister and his girlfriend, Vanessa are women who have been manipulated throughout their lives. 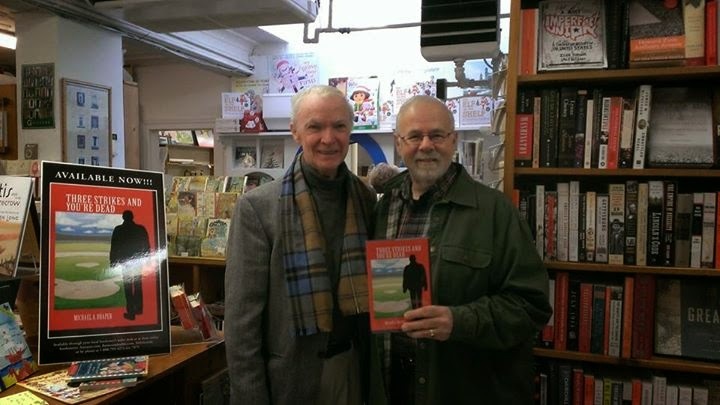 The story is told with a literary excellence and both the story and Work Pickens will remain in the reader's thoughts long after the book finds its place on the book shelves. Take heed. Two nuclear weapons are stolen from a Russian nuclear complex. In Zurich, arms dealer Pierre Kowalski still wants revenge for what John Wells did to him when he forced information from him in Long Island. Now Kowalski has paid a man named Markov, millions, to kill Wells. The plan is to strike while Wells travels to his office. Unaware of the sinister forces plotting his demise, Wells has been taking life easy after his last, life threatening, activity. Now he's driving to work with his fiancee and associate, Jennifer Exley. There is a traffic snarl. 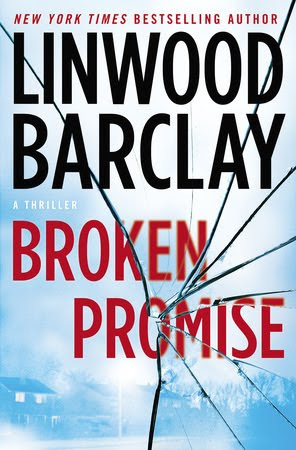 Being a CIA agent with well tuned self preservation skills, Wells senses danger as one motorcycle passes him and then another is approaching weaving in and out of traffic. His quick thinking enables him to dispatch the assassins, but Jennifer is wounded. In another part of this complex plot, near Ramadi, Iraq, Sayyed Nasiji plots with Sheik Ahmed Faisal. Their goal is to purchase the necessary materials and then assemble a bomb in the United States. Nasiji wants to give the United States a taste of what Iraq has gone through. Wells is mad with the need to take revenge for those who injured Jennifer and he's sure he knows who is responsible. However, events transpire that make Kowalski nervous. He seeks Wells out and promises to provide Wells with info on the stolen weapons if Wells will agree to a truce with him. From that tense moment on, the action continues with moving the bomb materials to where they can be set up to create devastation. 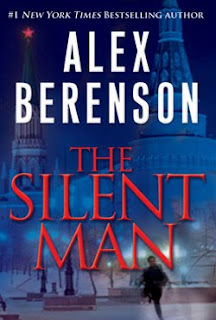 If the goal of a thriller, is to provide adventure and suspense, then Alex Berenson has accomplished his goal. This is the third of the John Wells stories and he remains heroic, brave (almost foolishly so) and true to his country and his fiancee. I did find the plot a bit too complex at times but the action was there and the story was vastly entertaining. This entertaining novel tells of Pietro Brnwa, a former hit man with the mob. Now he has entered witness protection and as the novel opens, he is an intern in internal medicine at Manhattan Catholic, a notoriously bad New York hospital. His story involves finding his grandparents murdered when he, as Pietro, was fourteen. Later, he told a friend, the only thing he wanted was to find the killers and repay them for their crime. He learns who killed his grandparents and takes care of business and finds that he's good at it. He continues as a hit man but with a moral code, he won't kill women or innocents. Eventually, he meets the girl of his dreams, Magdalena, and is attempting to leave the life he was in when something goes wrong. Interspersed with Pietro's history, we observe the present where he is Dr. Peter Brown working at the hospital when he has the misfortune of meeting one of his old acquaintances. The man, Eddie Squillante AKA Eddie Consol, tells Peter that information about his past will be revealed if Peter lets him die of the cancer that's killing him. 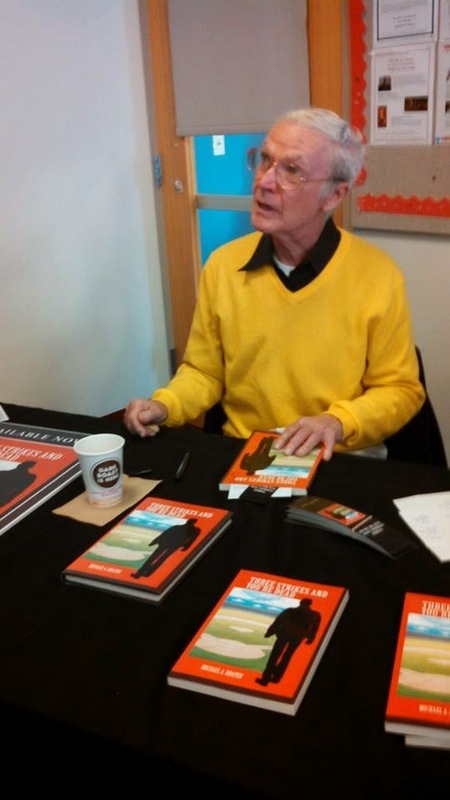 The author has stated that one of his influences is Raymond Chandler, and we see the hard boiled character and crisp dialogue that Chandler is known for, i.e. in "Playback" where Marloww's next door neighbor overhears a private conversation. She tells him, "I'm your next door neighbor. I was having a nap and voices woke me...I was intrigued." Marlowe's response, "Go somewhere else and be intrigued." 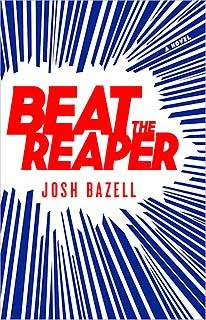 When I began the book, I thought the debut novel by John Bazell would be an average story but to my surprise, this man writes a whale of a story. Some of the story seems a bit far out, such as Peter's old friend and now enemy bringing him to the shark tank in Coney Island to seek revenge. However, the story had a kick that was pleasurable. The plot was original and Dr Peter Brown was certainly a unique character, although I hope I'm never in a hospital as one of his patients. "Hard words break no bones." 17th Century Saying. Officials ask Dr. Temperance Brennan's help with the body of a missing heiress, Rose Jermain. Temp's finding was that the woman died from hypothermia and was not the victim of foul play. However, an anonymous phone call is received by the dead woman's father, alleging that Temp deliberately falsified the autopsy report. Temp defends her findings and is told that she has an enemy and it would be in her benefit to find out who. The plot driven story weaves between Temp's current status where she is bound and locked in a small space, attempting to figure out how she got there and how she might escape and the events that led up to her predicament. The early events include when the bodies of a number of elderly women are found and she must analyze and help determine the manner of death. Brennan and Lt. Ryan wonder if they are dealing with a serial killed of elderly women. Complicating the situation is that as Temp is attempting to help the police by determining the cause of death and help find the killer of these women, someone seems to be sabotaging her work. The varmint who is doing this is fairly predictable but watching Temp figure out who it is, is still fun. 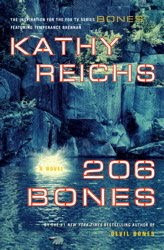 Kathy Reich's continues the story line with Brennan and with the TV show, "Bones." Reich presents the reader with enjoyable plots and situations for her heroine to work her way out of. Brennan is so real that the reader agonizes with her as her superior informs her that she missed a vital clue and a junior member of the team found it and received praise for her finding. There also a nice chemistry between Temp and Lt. Ryan. I enjoyed this work and continue to appreciate the excellence of the author. "Time to Hunt" tells the story of Marine sniper Bob Lee Swagger and his spotter, Donnie Fenn. 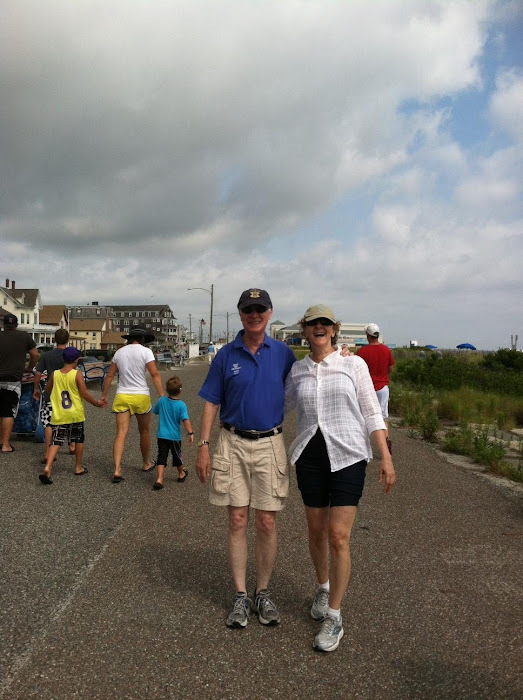 The first part of the story relates how short timer, Donnie Fenn was sent to Viet Nam for an added tour when he refused to betray a fellow Marine accused of associating with peace marchers in Washington, D.C. When he meets Bob Lee Swagger and they travel in country in Viet Nam, they cause such damage to the Viet Cong that Viet Cong officials contact their Russian advisor. One of the Russian's makes a connection to Swagger based on his weapon and the 173 grain bullets. These are the same rounds used in target shooting and this Russian had lost a shooting championship to Swagger. He is sent into the field to eliminate Swagger and his spotter. 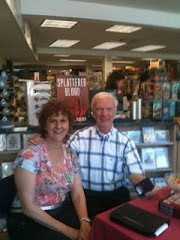 What follows in the plot will leave the reader gasping with suspense and plot twists that the author adds to his story. Needless to say, everything isn't as it seems. 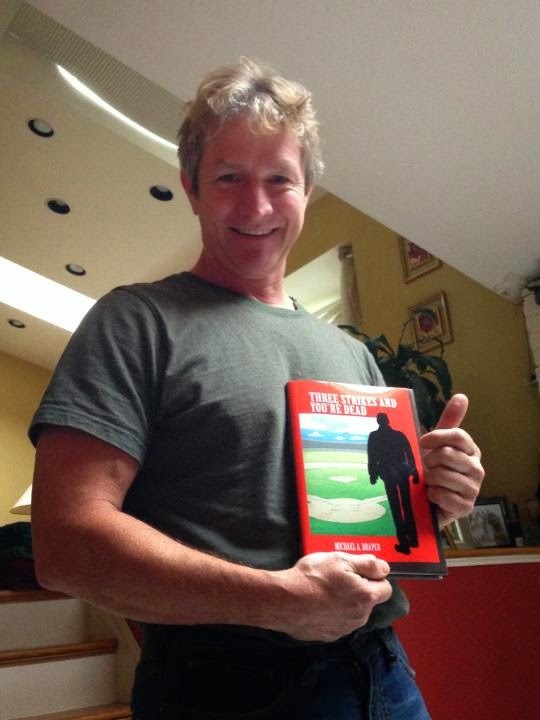 The action goes from Viet Nam to Swaggers home in Idaho, then to Washington, D. C.
The novel is a good example of why the author is considered one of the top thriller writers in America. The plot is original and Bob Lee Swagger is an excellent character and true hero.